A short listing video is designed to sell the property. A walk through highlights the property by showing the various amenities and visually appealing spaces. The most basic real estate video is a photo slideshow that features a walk through highlighting the property as a result this video can either be photos, video or a combination of the two. The finished video includes descriptive text about property, the agent’s contact information and music. A step up from the basic listing is a video that features a real estate agent or a narrator that takes the viewer on a tour of the property. The real estate agent, a voice over or a combination of the two gives a guided tour. Next, a script or a bullet point outline is prepared about the property. After recording, the video and descriptive text that highlights specific selling points or point out details is added to the timeline. Unique locations may include information about the community. Finally, background music is added to set the tone. Listing videos are an effective and inexpensive way to sell real estate. You’ve probably heard the expression, “Don’t sell the steak, sell the sizzle.” A more elaborate and compelling real estate video can be created by featuring the property as it would be to a prospective owner, “the sizzle.” This type of video helps viewer get a better sense for the experience of living in the space. The process starts by evaluating the target market, i.e. demographics and psychographic of a potential owner. A concept and script are developed based on this evaluation. Finally the important areas are staged and talent is cast to tell the story of the property. The goal is to convey the desired personality and impression of the property. Higher end listings are the primary target because of the higher production cost. Marketing videos are a great sales tool because they distinguish you from your competition, especially in a large market. Testimonials about the agent or company are a good way to connect with your audience and reveal your personality. The goal is to identify your unique selling proposition and brand yourself around those features and benefits. Those looking to buy or sell also need information about the steps involved in the process so gathering information about the buying and selling process is often the first step. By providing this information, you viewed as an expert in your field. 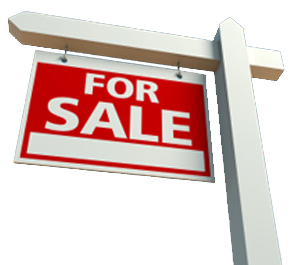 It’s good way to generate clients for buying and selling your listed properties. Cameras mounted on a jib arm, slider, drone or gimbal increase the production value. These devices allow smooth movement of the camera and create spectacular visual effects that give the video a higher degree of professionalism. Camera movement can make your shots more interesting and rich, plus they help communicate your story/theme/tone to your viewer. Once created, many people wonder how the video will play on their website. The easiest way is to upload the video to YouTube and embed code on your website. If you don’t have a YouTube channel we can create one for you or we can host the video on our website. YouTube videos are instantly optimized for playback on any device and are shareable too.